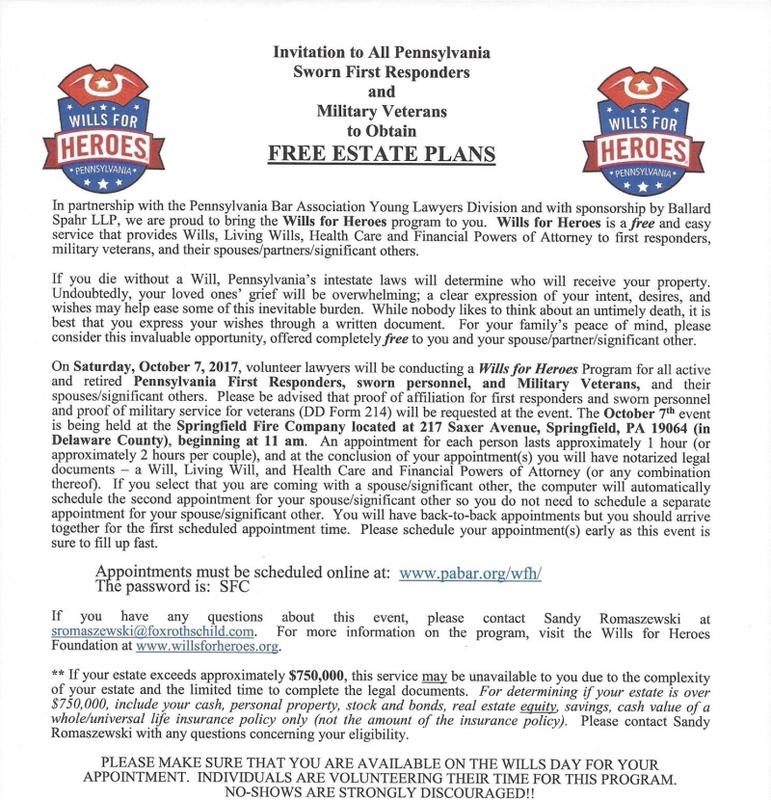 This years offering of the Wills for Heroes event hosted by the Delaware County Fallen Firefighter & EMS Memorial Committee will be October 7th 2017 at the Springfield Fire Company, 217 Saxer Ave Springfield, PA 19064. Appointments start at 11:00am through the afternoon, sessions take about an hour and are open to all active Fire, EMS, Law Enforcement Personnel, Military Veterans and each of their significant others. It's very important for you and your loved ones, for you to have a Will, Living Will, Medical and Financial Power of Attorney! It's easier than you think and doesn't take as long as you think. Sign up for an appointment at www.PABAR.org/WFH/ and use password SFC. Let us know if you have any questions or problems signing up.